Huawei’s new Mate 20 series is just around the corner and one of its main features is the new engine under the hood, the HiSilicon Kirin 980, which is also the company’s latest flagship chipset. If you’re asking what it’s capable of and how will it affect future devices, we’ll break it down for you. First, let’s do a quick backgrounder on HiSilicon and the Kirin chipset. HiSilicon is a semiconductor company founded in 2004. It is based in China and is fully owned by Huawei. It purchases licenses for CPU and GPU designs from ARM holdings and manufactures the chipsets to be used on Huawei devices. 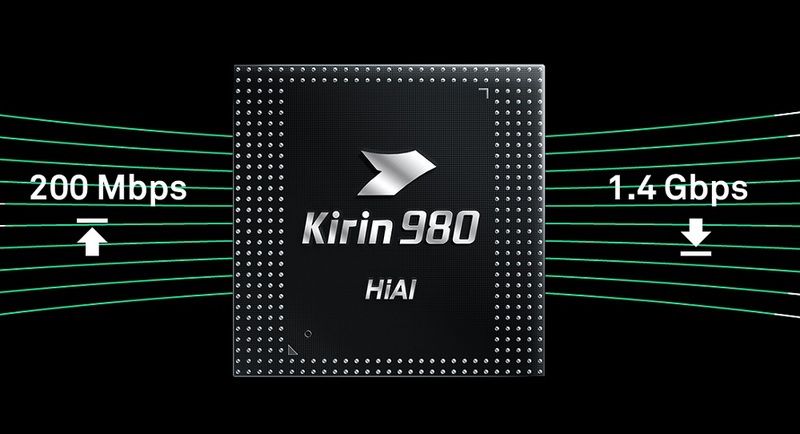 HiSilicon’s Kirin 900 is usually found in Huawei’s flagship devices. 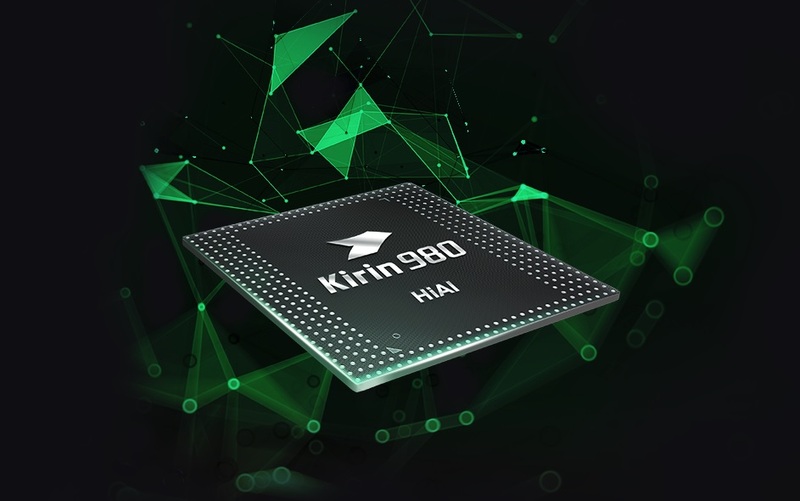 The Kirin 980 is Huawei’s newest flagship SoC. It succeeds the Kirin 970 from last year and will power the Huawei Mate 20 series that will be unveiled this October. It is also fabricated using TSMC’s 7nm FinFET process. Do note that the “7nm” does not refer to any dimension of the chipset, but rather it’s a lithographic length that refers to the degree of precision within the fabrication process. What does it mean for the Kirin 980? The smaller the process, the more transistors you can fit in a given space. The idea is, more transistors equals more power and better power efficiency. In comparison, the Kirin 970 was fabricated using TSCM’s 10nm FinFET+ process and, according to Huawei, integrates 5.5 billion transistors in an area roughly the size of a fingernail. 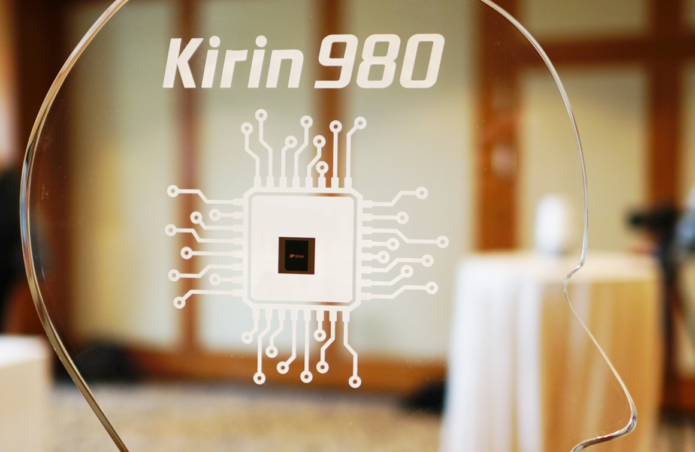 The Kirin 980, on the other hand, integrates 6.9 billion transistors within a 1cm2 die size. That’s 1.6 times of the previous generation. Huawei also claims that the 7nm process delivers 20 percent improved SoC performance and 40 percent improved SoC power efficiency, compared to the 10nm process. 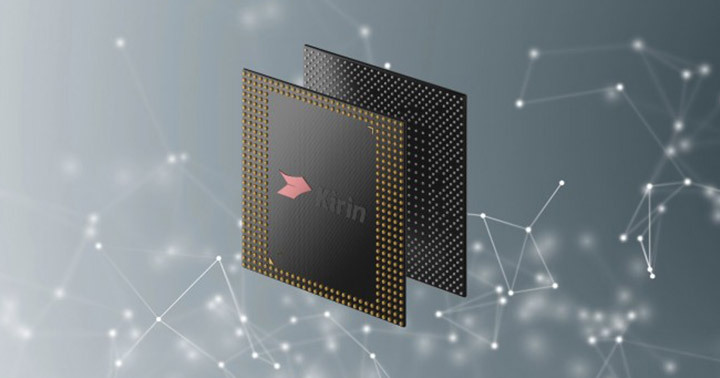 The Kirin 980 uses an architecture consisting of two super-big, high-performance cores based on Cortex-A76 to handle immediate, intensive workloads; two big, high-efficiency cores based on Cortex-A76 to for sustained performance; and four little, ultra-efficiency based on the Cortex-A55 to tackle everyday, light activities. In addition, it also runs on higher clock speeds compared to the prior generation for quicker app launch times, better multi-tasking, and smoother user experience. As for graphics, it is handled by Mali-G76 GPU which offers 46% greater processing power and 178% improved power efficiency over the Kirin 970’s Mali-G72. In addition, it also features a clock boosting technology that utilizes AI to intelligently identify gaming workloads and adjust resource allocation for optimal gaming performance. 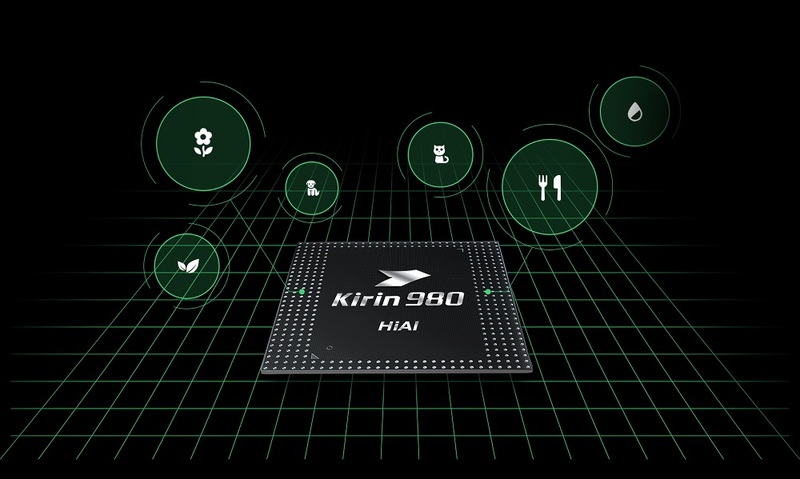 The Kirin 980 features an on On-Device AI courtesy of the dual-core NPU (neural processing unit). 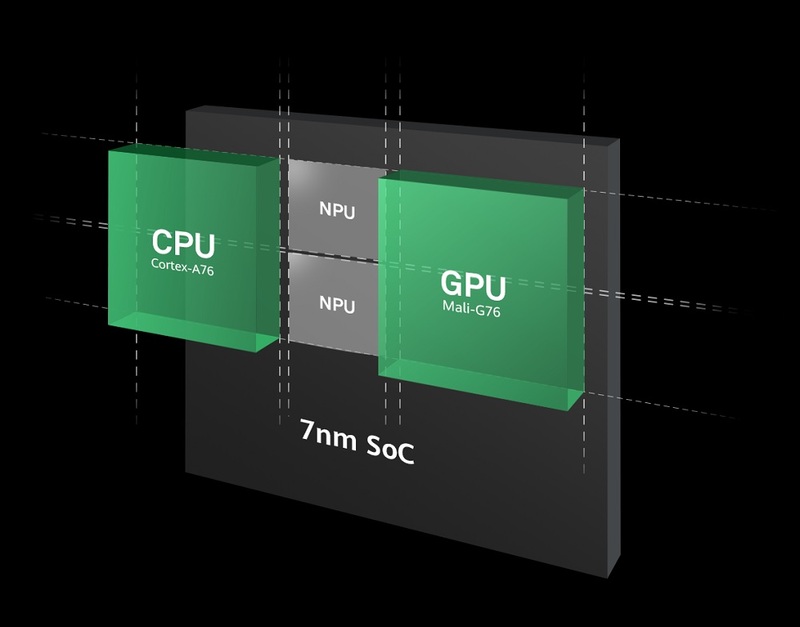 It allows for better image recognition capabilities at up to 4,500 images per minute, which is up to 120% compared to Kirin 970’s NPU. In addition, the Kirin 980 supports common AI frameworks such as Caffee, Tensorflow and Tensorflow Lite, and provides a suite of tools that simplify the difficulty of engineering On-Device AI, allowing developers to take advantage of the processing power of the Dual NPU. Huawei integrated its proprietary fourth-generation ISP into the Kirin 980 to improve a smartphone’s photography experience. Compared to its predecessor, it offers 46% increase in data throughput and provides better support for multi-camera configurations. In addition, there’s an all-new HDR color reproduction technology that can manipulate picture contrast to highlight objects on various parts of an image, Multi-pass noise reduction solution that accurately removes artifacts without scrubbing away image details, improved motion tracking that allows the ISP to recognize moving subjects with 97.4% accuracy, and a new pipeline dedicated to processing video captures, allowing the camera module to shoot videos with 33% shorter delay. 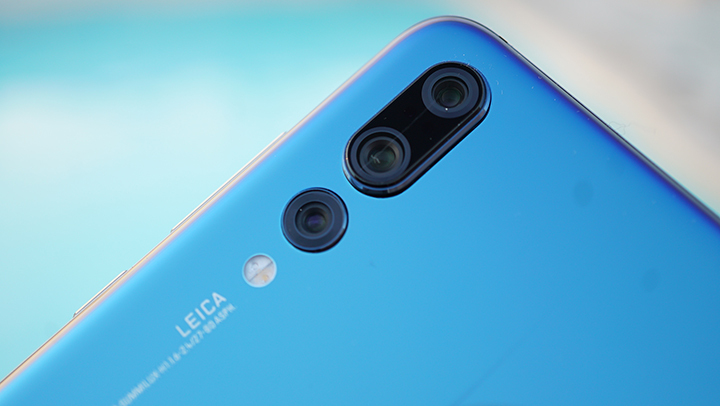 In other words, we can expect better photography performance in the Mate 20 compared to the older Huawei devices. 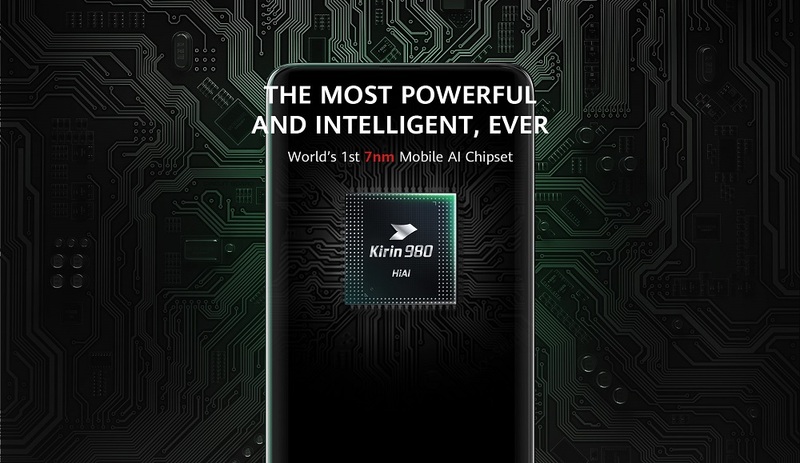 The Kirin 980 sports a modem that supports LTE Cat.21 connectivity with a peak download speed of 1.4Gbps and carrier aggregation. In addition, we’re glad to know that the modem is 5G-ready which is good news as plenty of companies, including Huawei, are pushing for the next-generation mobile connectivity standard. As you can see from the features above, the Kirin 980 is definitely, Huawei’s most powerful chipset to date. Consumers will soon be able to experience it when Huawei launches the new Mate 20 series next month. We’ll be in London on that day, so stay tuned!